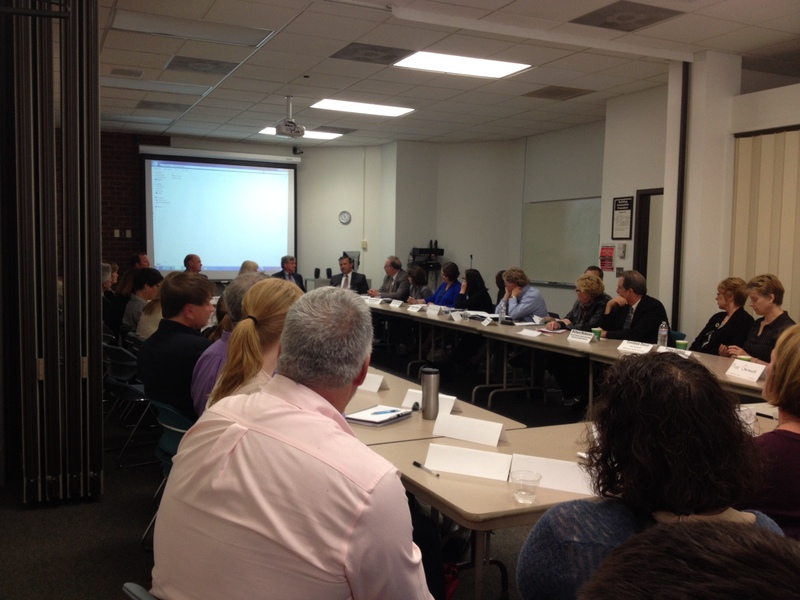 If you would like to add your story as an Alternative Transportation Champion, contact Land Use Planner, Alyssa Larose at alarose@frcog.org. 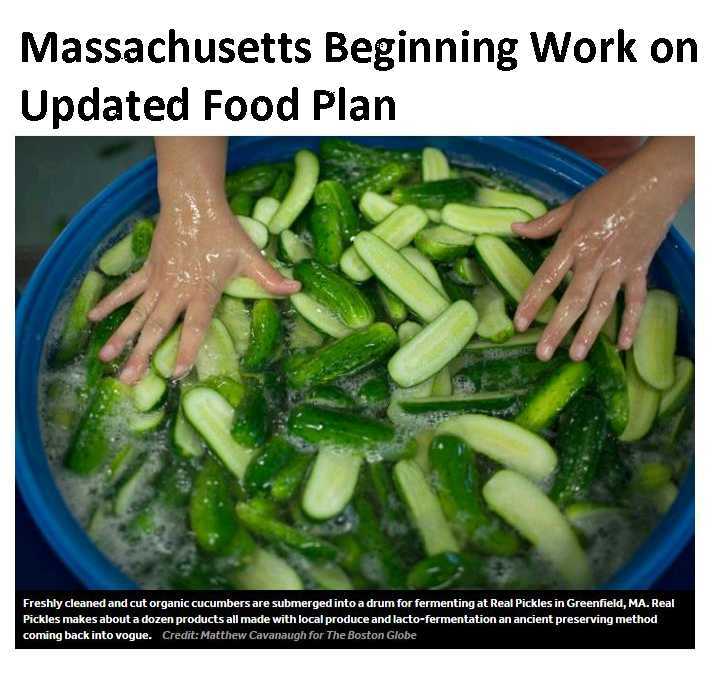 Thanks to funding from the Toxics Use Reduction Institute, the FRCOG has a new guide for restaurants and other food service establishments on how to reduce exposure to dangerous chemicals for employees, customers, and the groundwater. FRCOG receives a Toxics Use Reduction Chamption Award at the State House. 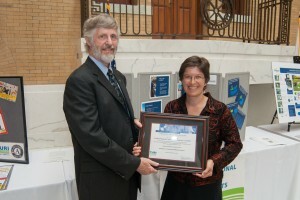 Director of Community Services Phoebe Walker accepted the award from TURI Director Michael Ellenbecker. 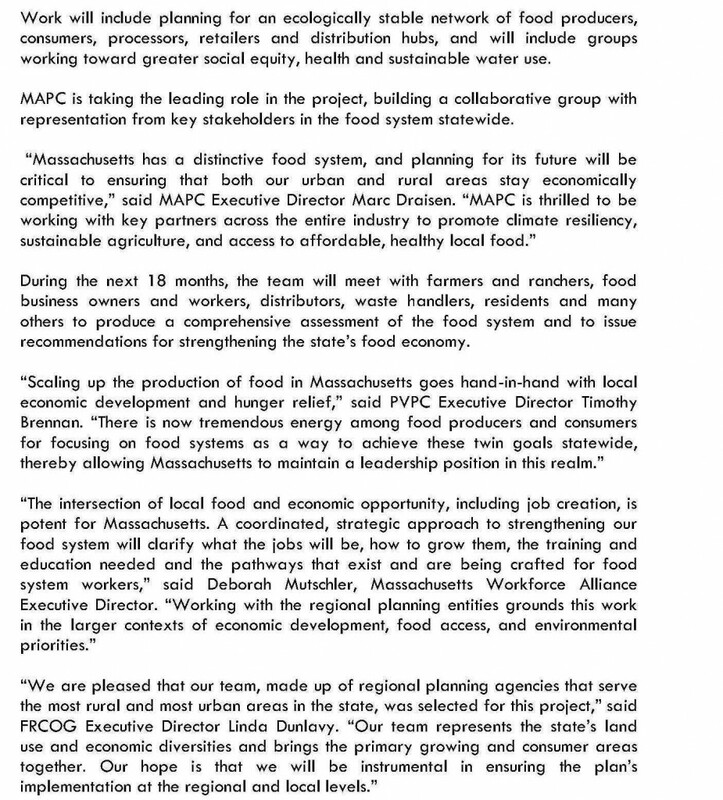 The FRCOG is partnering with sister planning agencies MAPC and PVPC as well as with MA Workforce Alliance to conduct a statewide food system plan. See the news at www.boston.com. The Downtown Orange Market Assessment is now available. 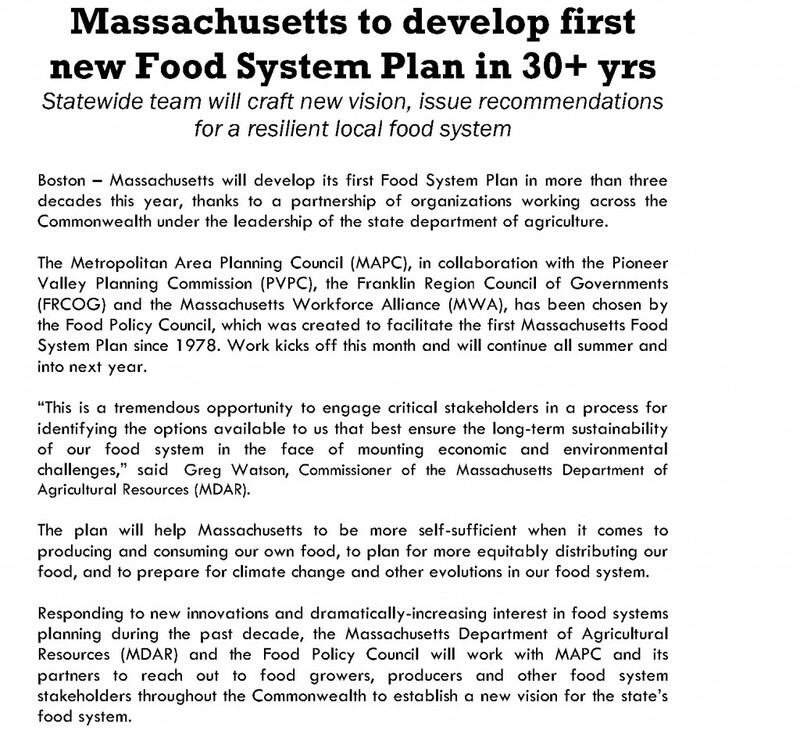 Register for project updates and download this MA Food System Plan Flyer. For more info, contact Mary Praus at mpraus@frcog.org or 413 774 3167 x131. Franklin County health, education, government, law enforcement and other leaders meet with Commissioner Bartlett. Effective for any building permit issued on or after July 1, 2014, the 2012 IECC with Massachusetts amendments will be exclusively enforced. Among the new regulations is a blower door test for new single and two family homes. 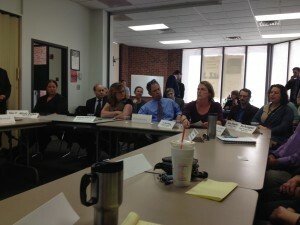 View the 2012 IECC from the ICC site and Massachusetts’s amendments for details. Effective for any building permit issued on or after July 1, 2014, the underside of floors constructed with non-dimensional lumber (e.g. TJI’s) must be protected with ½” sheet rock or 5/8” wood structural panel. There are some exceptions. See code for details.